Helen, Lillian & Annie. 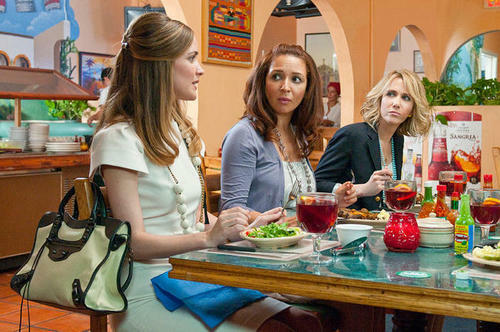 Rose Byrne as Helen, Maya Rudolph as Lillian & Kristen Wiig as Annie Bridesmaids. Wallpaper and background images in the Bridesmaids club tagged: bridesmaids movie stills 2011 rose byrne maya rudolph kristen wiig helen lillian annie. This Bridesmaids photo might contain छुट्टी रात्रिभोज, छुट्टी का खाना, खाने की मेज, गुलदस्ता, कंचुकी, कहावत, फूलों का गुच्छ, चोली, पॉसी, नाकगेय, ब्रोच, and nosegay.